As a leader in the gaming monitor market, ASUS is driven to deliver the best experiences to gamers. ASUS was the first company to introduce an NVIDIA G-SYNC monitor with the launch of ROG Swift PG278Q in 2014, and the ROG Swift series has continued since then to be recognized as the world's best gaming monitors. Since the launch of the G-SYNC Compatible program, ASUS has worked closely with NVIDIA to enlarge the G-SYNC ecosystem. ASUS is currently the only company subjecting monitors to a two-stage certification process that entails in-house testing and subsequent validation by NVIDIA to guarantee compatibility with thousands of graphics cards. 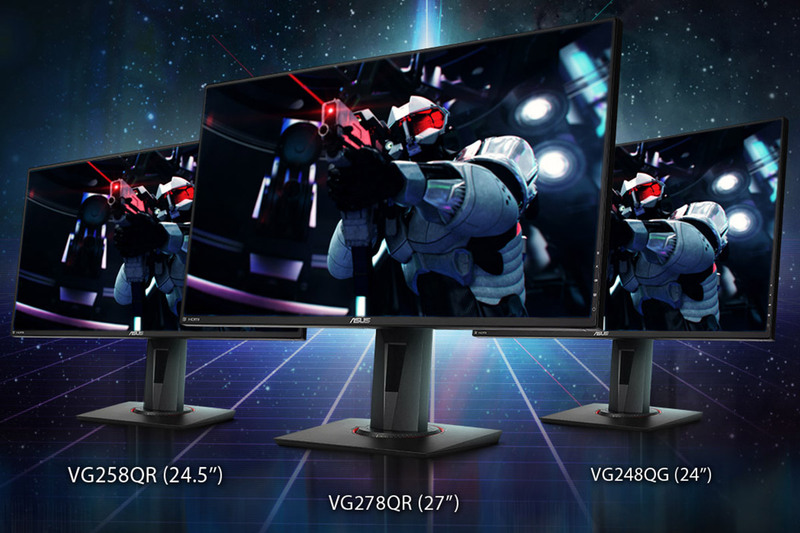 Eight ASUS monitors spanning a variety of screen sizes and resolutions have achieved full compliance, giving consumers more freedom to upgrade existing systems or team components for new builds. [i] 0.5ms response time is the minimum based on internal tests. Response time may vary depending on test conditions.